As has been mentioned in previous blog posts, we in the Japan Centre online hub dedicate a lot of our time to bringing new and exciting Japanese foods, drinks, and other assorted groceries to japancentre.com for your online shopping pleasure. However, we are fully aware that the product page on japancentre.com is not always enough to showcase how great our items are. Therefore we are delighted to introduce Japan Centre Online Tries; a new segment of Inside Japan Centre where we try our newest or most popular items and give you a detailed report on the experience. Most Pocky comes in small, flat boxes only about an inch deep, but the chocolate crush range comes in a deeper, hexagonal box (which was exciting for us, as it indicated that there was more Pocky goodness inside). 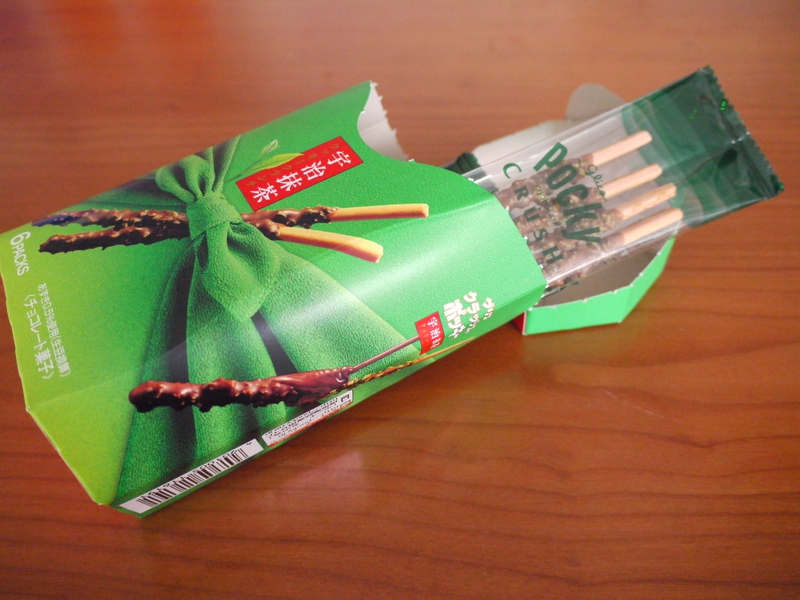 Inside were six little packets, each containing four knobbly, thickly coated Pocky sticks. The first thing we noticed was that the Pocky looks very similar to the picture on the box; a definite point in its favour. 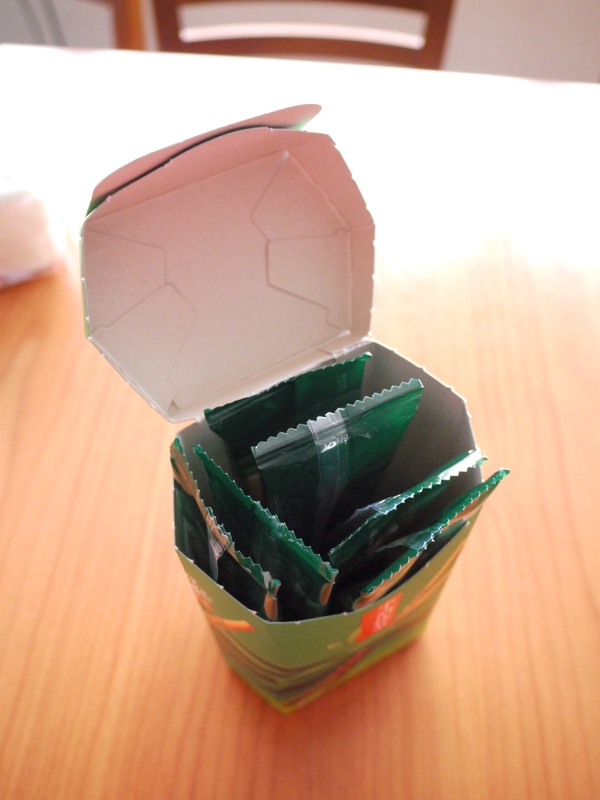 The packets are a good size for taking in a long bento box. Given the green colour of the box and the emphasis on matcha, we were expecting the matcha to be prominent. 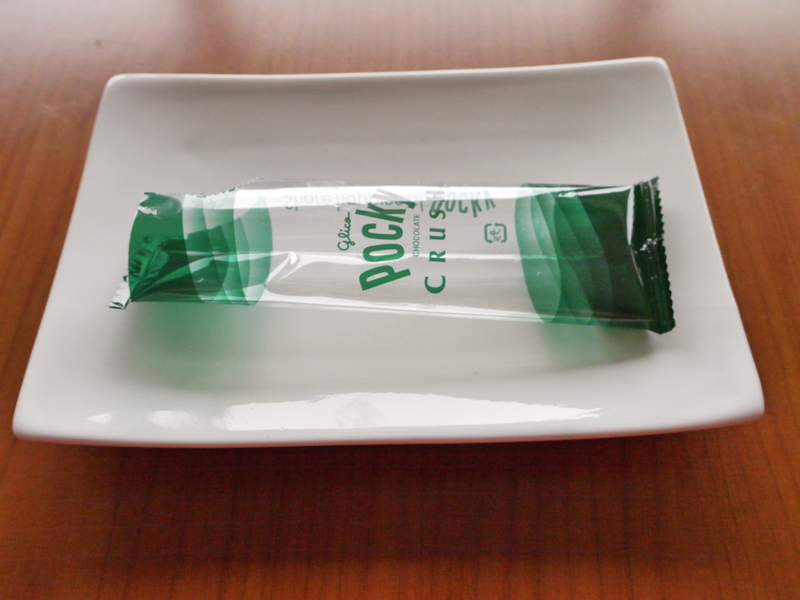 We could certainly smell the matcha on the Pocky. However, everybody who tried it agreed that the matcha flavour, while there, was actually quite subtle, adding just a hint of that trademark matcha freshness. The chocolate component was deliciously thick and creamy, and the cookie component of the matcha added an extra bit of crunch, just as we had hoped for. 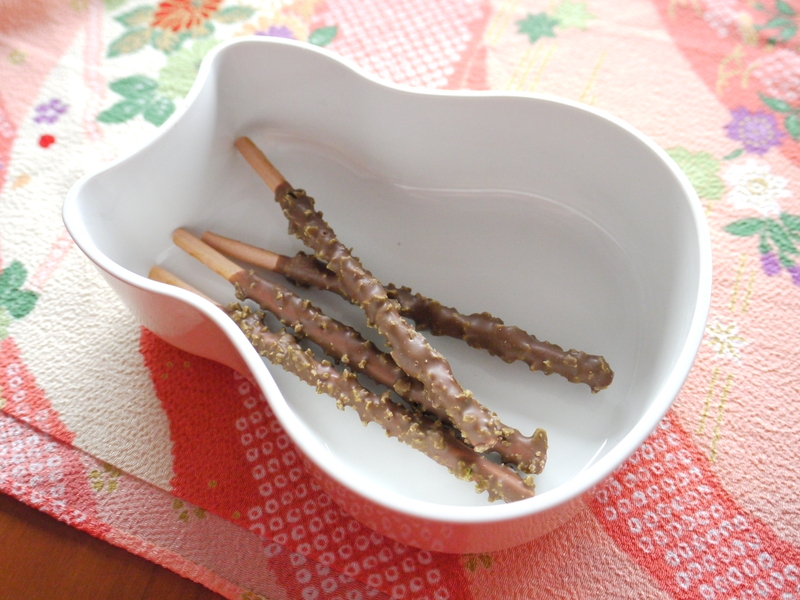 The most surprising feature was the azuki bean flavoured pretzel stick, which added a sophisticated, almost strawberry-like sweetness to the mix. Despite the three dynamic flavours, the balance between them worked very well with no one flavour overpowering the others. It also left us with a subtle matcha aftertaste. Have you tried our Matcha Cookie and Chocolate Pocky Crush yet? Let us know in the comments below!